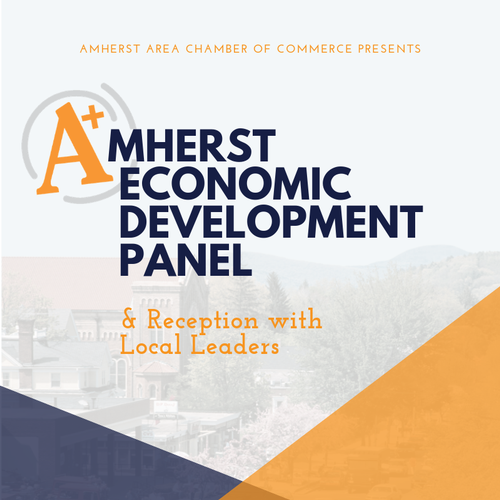 A presentation of the state of economic development in Amherst and a panel discussion of our community's strategic advantage as well as a vision for the future of economic development in the Amherst Area. A reception to continue the conversation with bites from the Award-Wining UMass Dining will follow! 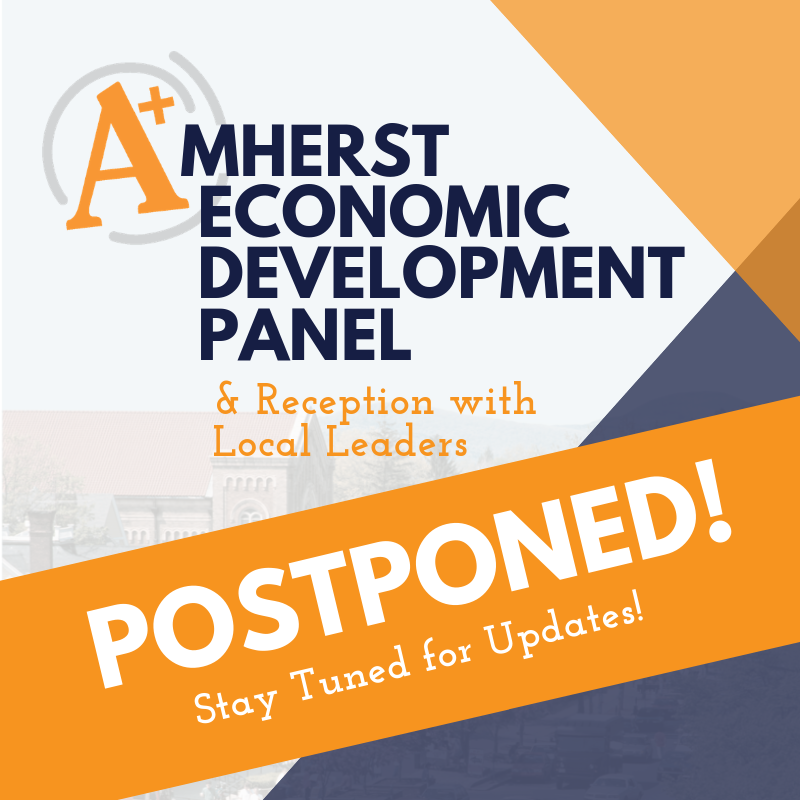 The Amherst Area Chamber of Commerce is proud to partner with the Bobrowski and Vickery, LLC and the University of Massachusetts Amherst and to make this event possible. $10 Members $20 Non-Members to cover the food cost. 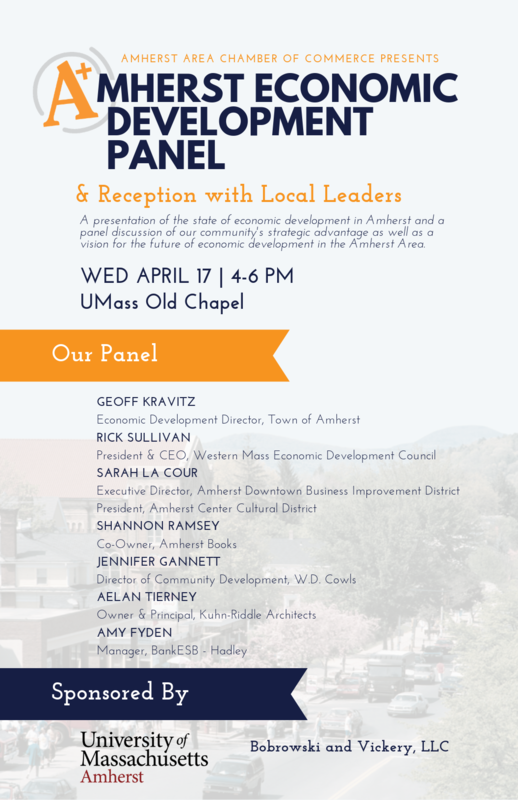 Panel discussion free and open to the public.